through life's storm and tempest our guide you have been. When perils o'ertake us, you never forsake us. our songs of thanksgiving to you we now raise. Your strong arm will guide us, our God is beside us. To you, our great Redeemer, fore'er be praise! This hymn of praise combines present and past to give hope for the future: we humbly and thankfully sing God's praise (st. 1), we praise God for his protection throughout our lives (st. 2), and we go forward under God's guiding hand (st. 3). you give martyrs their comfort and saints their heavenly rest. We praise and thank you. so that we might stand tall as loved sons and daughters. and longed for us even when we had ignored you. and a God of amazing grace. nothing we do makes you seek us more. and so we praise and thank you. Amen. The text was written at the request of J. Archer Gibson, organist at Brick Presbyterian Church in New York City. Gibson asked Julia Buckley Cady Cory to write a text to the tune KREMSER to replace the older text associated with that tune, "We Gather Together." The new hymn was first sung at Thanksgiving Day services in 1902 at the Brick Presbyterian Church and Church of the Covenant, both in New York City. 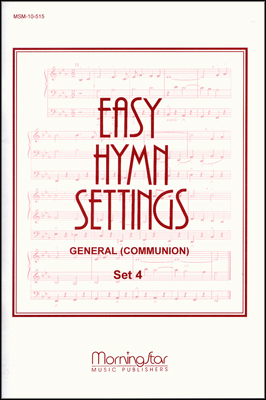 It was first published in Hymns of the Living Church (1910). The tune KREMSER owes its origin to a sixteenth-century Dutch folk song "Ey, wilder den wilt." Later the tune was combined with the Dutch patriotic hymn 'Wilt heden nu treden" in Adrianus Valerius's Nederlandtsch Gedenckclanck, published posthumously in 1626. 'Wilt heden nu treden," which celebrated Dutch freedom from Spanish rule, was always popular in the Netherlands, but gained international popularity through an arrangement by Eduard Kremser in his Sechs Altniederlandische Volkslieder (1877) for men's voices. This collection of six songs in German translation from Valerius's anthol­ogy was the source of the older English text, 'We Gather Together." Keep a firm but stately tempo with strong, solid organ registration. Asked to write new words for the KREMSER tune, Julia C. Cory Cady penned this text. It has become a great hymn for Thanksgiving services—one which not only praises God for his redemptive care of our lives in the past but also expresses confidence in God’s providence for future years. Julia Buckley Cady Cory (b. New York, NY, 1882; d. Englewood, NJ, 1963) was the daughter of a prominent New York architect, J. Cleveland Cady. Her father was also a Sunday school superintendent and amateur hymnologist. Partly because of his influence Julia began to write hymns at an early age. She was a member of the Brick Presbyterian Church; after moving to Englewood, New Jersey, she joined the First Presbyterian Church. She married Robert Haskell Cory in 1911. A. Valerius (b. 1575; d. 1625) was a Dutch poet and composer. He worked as the Toll and Customs Controller for Veere, the Netherlands, and was later appointed to the City Council. A wealthy businessman, it is perhaps surprising then that much of his poetry deals with peasant life; Valerius spent thirty years collecting folk melodies to match his poetry. The rest of his poetry revolves around the Dutch war of Independence, and therefore his poetry holds great significance for mirroring Dutch nationalism and culture. What might be most interesting about this hymn is what it is not. It isn’t a song of praise and thankgiving for the undending good gifts God gives us. It isn’t a naïve song about how beautiful life is all the time. On the flip side, this is a hymn of thankgiving that very honestly raises the question of suffering. In the second verse, we sing, “through life’s storm and tempest our guide you have been; when perils o’ertake us, you never forsake us, and with your help, O Lord, our battles we win.” We can’t say that life is all peaches and cream. We can’t gather together on a Sunday morning blissfully unaware of the sickness, death, sorrow, bullying, and famine that pervade our land. But we can gather together to praise the God who does not desert us in the midst of these heartaches. We can, and we should, come with hearts and voices lifted up before the one who suffered much so that we could have, in the midst of our trials, the fullness of life.